Media playback has always been an unsatisfying factor for most of the users of the Android platform. The native application that comes with every Android device has failed to impress their users in mostly watching a movie. These applications are really great for photos or images but are really bad with movies. 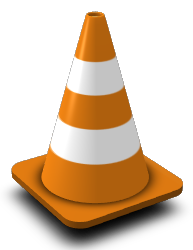 Now the time has arrived when a developer found the tools needed to bring the VLC player in the world of Android devices. After the extensive use of this media player which has impressed a lot of its customers for computers, it will finally land over Android devices. Though there are a lot of other applications available for playing media in Android but a common flaw in all these players is that they are mostly designed to play only a few types of media or files of any particular extension. And if one needs to play a particular video which is in a different format they need to be converted into the particular format which is really tiresome and silly. But those who have used VLC player can definitely say that VLC player’s greatest attribute is the massive library of video and audio codec’s, which enables the VLC player to run almost all kinds of media. Austen Dicken, a Software developer is playing with VLC for Android as a fun Project. He describes his work on VLC for Android to be in a pre-alpha period but still able to show some impressive results regarding basic functionality. Currently, the application supports a little media playback. Some more work is needed to be done in this. There’s some file management so the application can just pull from a single folder on your SD card instead of searching the entire card, which is not the way it is in a desktop version of VLC. Though Austen has already uploaded the application on his blog but there is no support for the application and if someone is willing to Download it and install it he will be doing it at his own risk.